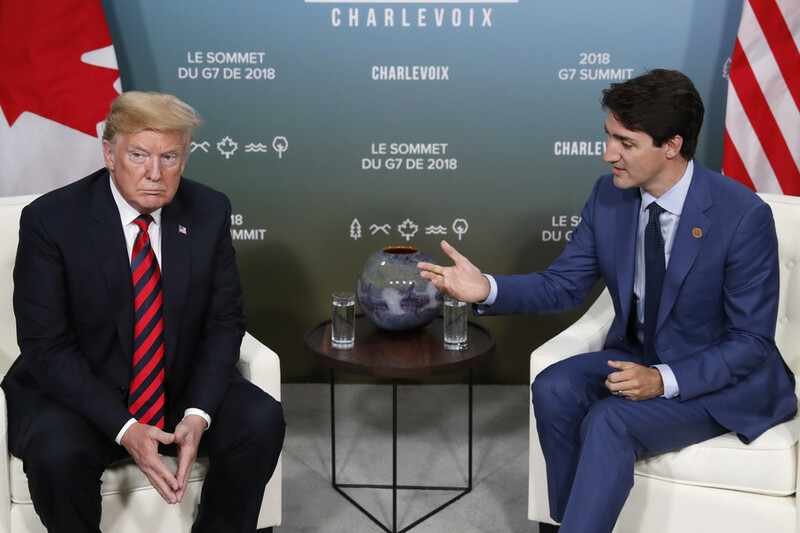 Hours after the G7 summit, US President Donald Trump is attacking Canadian Prime Minister Justin Trudeau again for "false statements," and he is refusing to endorse the summit's communique that called for reducing tariff barriers. On Saturday, Trump lapsed into his pre-summit rhetoric again, calling Trudeau "dishonest and weak" in a fresh series of angry tweets. He reiterated that the recently imposed US tariffs on metal imports from Canada and other nations are a response to what he believes is trade inequality. Trump lashed out at "Justin's false statements" at a press conference following the summit. There, Trudeau repeated his earlier description of US trade tariffs as "insulting" and vowed retaliatory measures would come in July. A few minutes later, Trump changed his Twitter profile header picture from the G7 family photo to a photograph of himself singing the anthem with members of US military in Atlanta in January this year – apparently another jab at his summit-mates, considering how far back he had to dig to find that one. Trudeau’s office responded to the verbal attack in a statement saying that the PM did nothing to provoke an outburst from Trump. The Prime Minister said nothing he hasn’t said before — both in public, and in private conversations with the President. 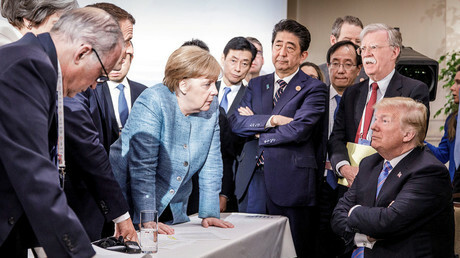 In the run-up to the summit, Trump riled up his fellow world leaders with accusations of unfair trade practices, earning him some flak from both Trudeau and Macron, who even suggested that the G7 could fare as the G6, without the US if need be. During the summit itself, Trump's behavior seemed almost deliberately disdainful: coming late, leaving early, contradicting others on Russia and suggesting that Canada lift all tariffs on US goods (which elicited a nervous laugh from Trudeau).